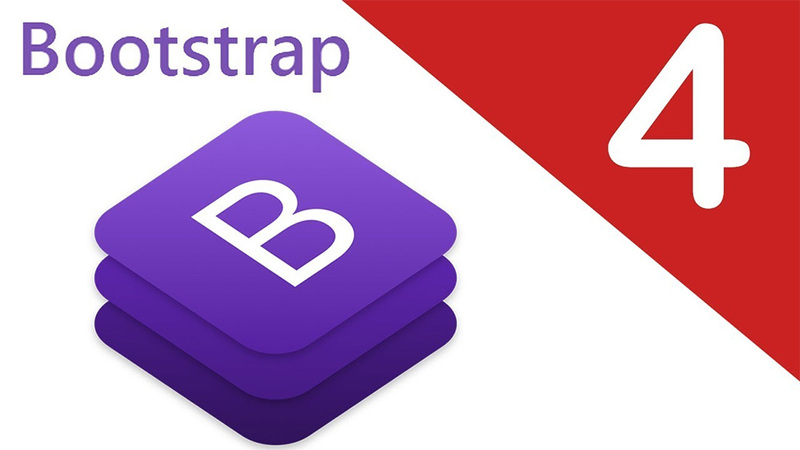 The release of Bootstrap 4 comes with incredible value to web developers. In this updated version we have a handful of new components, newer updated styles, and a fresh new codebase that’s a lot easier to work with. However if you’ve never used Bootstrap before you may not know where to turn. For anyone brand new to Bootstrap I’ve compiled this list of free video tutorials all covering the basics of BS4. 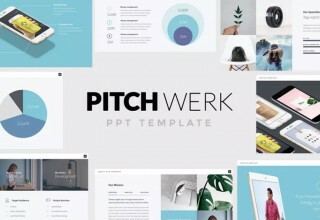 You’ll find some intro guides, some full-blown website tutorials, and everything inbetween. The more you work with Bootstrap the more you’ll love it and likely even start working with resources such as themes and plugins. Also if you’re a semi-experienced BS coder these tutorials will help you to learn the newer syntax. Handy for all skill levels and especially for serious developers. BS4 and all the fixins. What a time to be alive and building websites. In this free video you’ll learn how to design with Bootstrap and how to code working responsive layouts. The video is pretty long totaling just under 50 minutes. And I’d say it’s worth watching the entire way through because this really is a “crash course” on the framework. 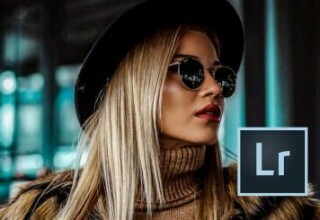 You’ll learn all about BS grids, how to format page elements, and how to use default BS classes for styling your page. All with a slant towards newbies who may have never touched a line of Bootstrap in their life. 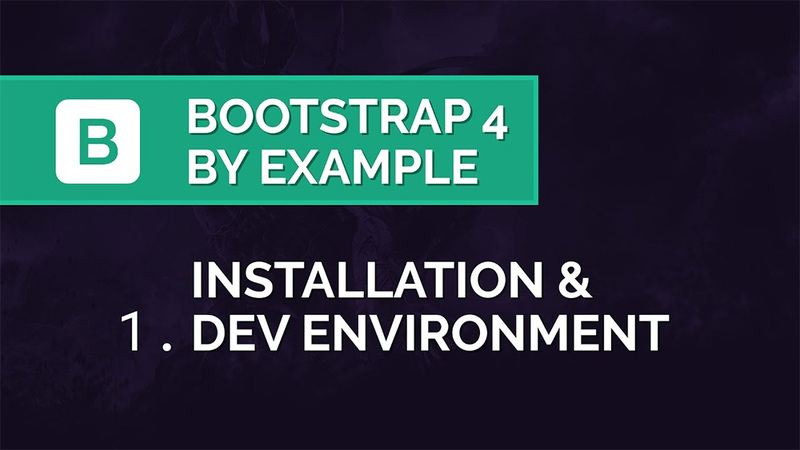 Now if you want a truly comprehensive tutorial with absolutely everything on Bootstrap 4, then you want this video. It clocks in with a total of three hours of runtime. And there’s some incredibly detailed content in here to enjoy. 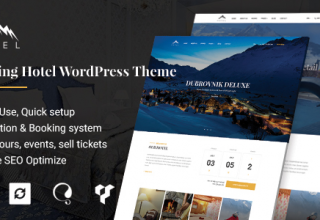 You’ll learn everything from basic page alignment techniques to color alterations and even working with themes in BS4. I would absolutely call this the ultimate definitive guide to everything Bootstrap 4. It is a very long watch so you’ll likely want to break it up into many sittings. But with that said, I guarantee you’ll get a lot out of this tutorial. Instructions go pretty slow and they’re super clear regardless of skill level. 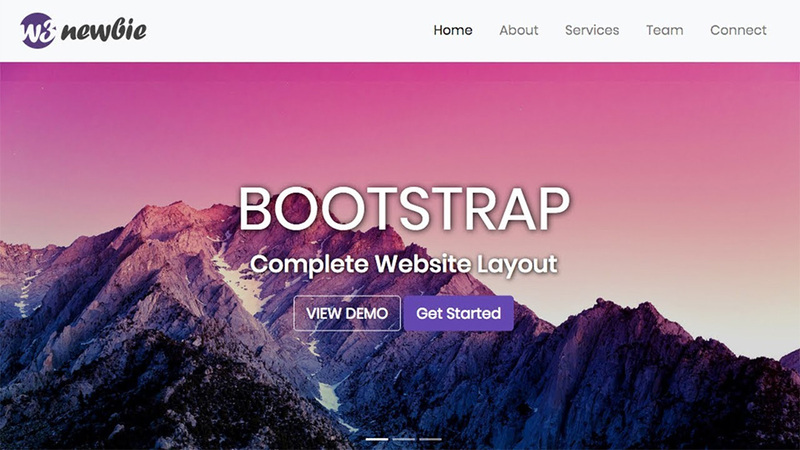 Some developers are already familiar with Bootstrap and have used it since the BS 3.x days. Now those days are slowly passing as we move into v4.0. 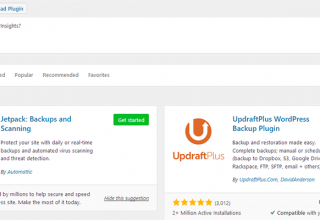 You may be wondering what all the fuss is about and why you should even bother upgrading. Well in this tutorial video you’ll learn all about the newest features in BS4 and how they work. I might not even call this a tutorial since it’s not a step-by-step guide. However it is a very clear intro to the newest features you’ll pick up with a fresh BS4 install. The video comes from Traversy Media which is a fantastic YouTube page full of great content for developers. An excellent resource if I’ve ever seen one. In this brief 20-minute intro video you’ll learn how to setup a full Bootstrap environment with an install guide. 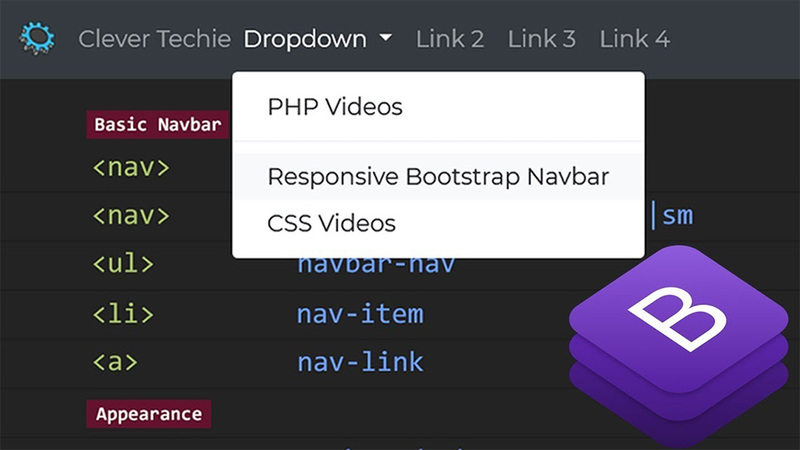 This means you should already understand what Bootstrap is and how it works, but now you want a clear workflow to speed up your process while working on the frontend. My favorite thing about this video is the level of detail you get for each step. This teaches you how to pull Bootstrap locally and from a CDN, and how to setup your files properly with a default HTML5 template. A fantastic guide for newbies who have never coded a full Bootstrap layout before. Every version of Bootstrap comes with its own grid system. This can be defined using different classes to create a set number of columns, and you can setup either fixed or fluid/responsive layouts with ease. 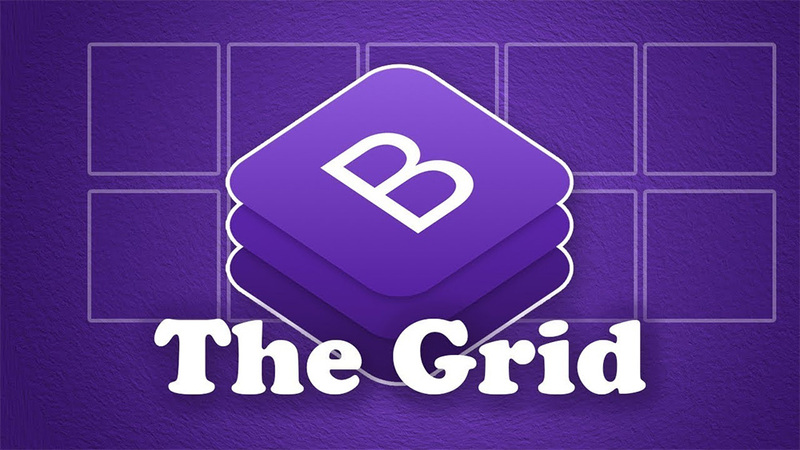 Well in this video you’ll dive head-first into the BS4 grid system and take a look at all its fancy features. Naturally this includes a breakdown of all the key classes you can use and how to properly structure your divs to create flexible layouts using a grid you like. I’m always looking for responsive techniques to apply to my workflow. And this doubles for the Bootstrap framework which is, by default, fully responsive. An excellent video for anyone who needs a refresher on this awesome grid system. To get into some more practical stuff why not build a full web project? You always learn so much from building custom projects that they’re really the best way to learn if you’re new to any framework. 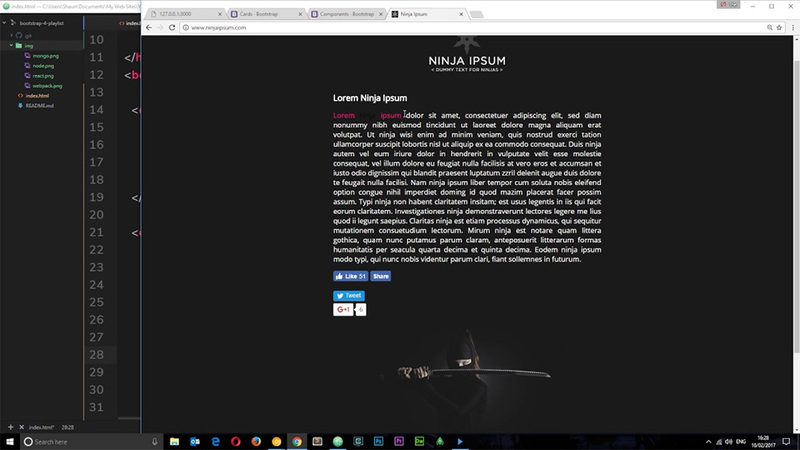 In this hour-long video tutorial you’ll learn how to create a full site from scratch using the Bootstrap 4 framework. The instructor goes into great detail to make sure you can follow along, so there’s really nothing overly confusing here. I’d say even intermediate-level web developers might learn a lot if they’re pretty new to the Bootstrap scene. There is no absolute “right way” to create a layout using BS4. 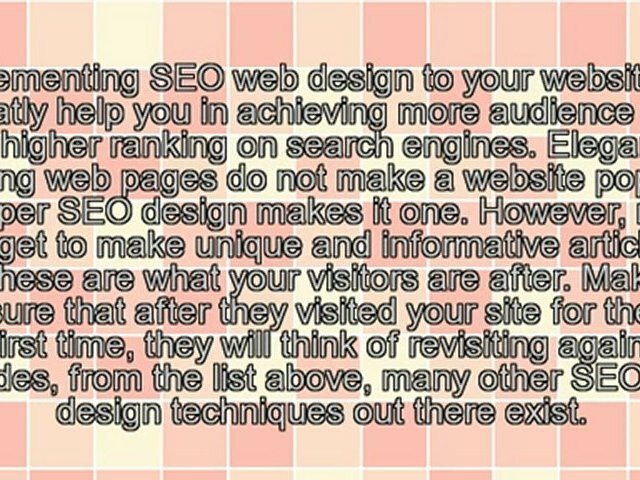 However there are some best practices which are outlined in this video that I definitely recommend learning. Let’s take a look at a slightly longer video totaling about 90 minutes covering many of the same things. Some people may just want another tutorial to really solidify their skills. Others may prefer this narration if it’s smoother, clearer, or just follows a better development workflow. Either way I do suggest watching one of these two “full website from scratch” videos. You should already know the basics of HTML and CSS before diving in, but you probably don’t need to be a master in either language. Just enough to be able to skim Bootstrap code and know what you’re looking at. Or be able to Google to find out. Custom navigation menus are so much easier to design using plugins and frameworks. So it’s no surprise that Bootstrap is wildly popular among developers who want to create custom layouts and menus. If you have even 15 minutes you can watch this free video and follow along to design your very own menu from scratch. It’s a sweet tutorial that really takes the stress out of Bootstrap coding. The instructor clearly has a way with teaching and their instructions should make sense even to newbies. That’s why I highly recommend following this even if you don’t need a responsive menu. The techniques you’ll pick up from this video can apply anywhere and they are incredibly valuable to all web developers. So we’ve all heard a lot about flexbox. It’s the hot new way to design layouts and create responsive containers without complex media queries. But did you know that flexbox properties can play nicely with Bootstrap too? And this video will teach you exactly how BS4 works with flexbox, how you can get started, and how to design your layouts so they align perfectly for all screens. Flexbox is one of the newest CSS properties and while there is good information online, there’s still a lot to be desired. 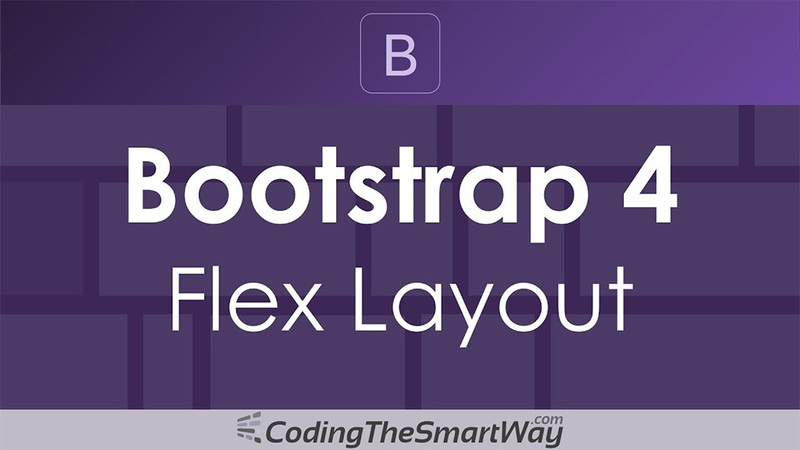 Thankfully this video covers how flexbox works and how it merges with Bootstrap. So if you’ve never used flexbox before this should have you covered. If you’ve ever poked around the Bootstrap documentation you’ve probably seen the cards page. This is just one of their many components that you get bundled with the main Bootstrap library. Cards are fantastic for many interfaces and especially great on mobile. Learning to work with cards is super easy. But it’s always nice to have some help, and I really suggest this tutorial to get up-to-speed here. The components themselves are pretty easy to setup. 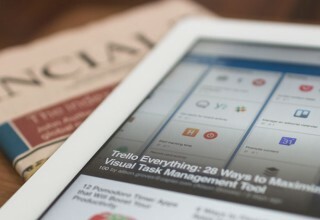 The difficult part is getting them to work with your layout, with your styles, and to fit properly on all devices. From this clip you should end up with a good working knowledge and have an excellent starting place to research & learn more. 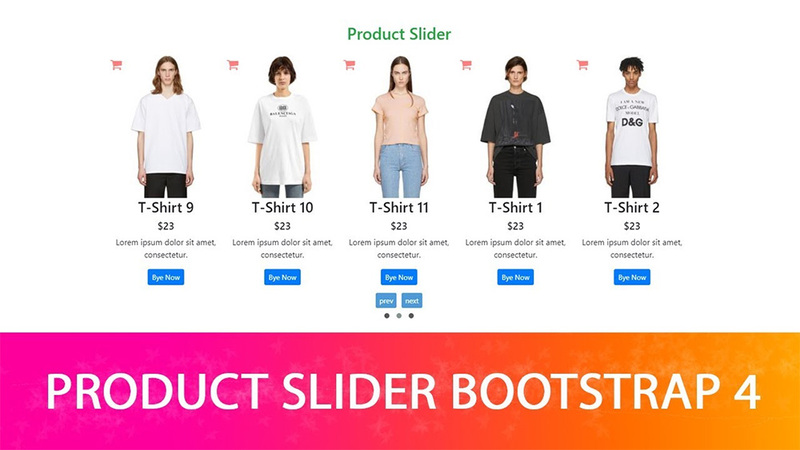 Getting into some more complex topics we have this slider tutorial running about 20 minutes long. Excellent audio, great presentation, and very nice teaching style. Overall just a really great video on Bootstrap coding. However this does assume that you have basic knowledge of Bootstrap grids and classes to design an existing layout. Don’t worry, all of the beginner videos listed above will teach you this stuff. 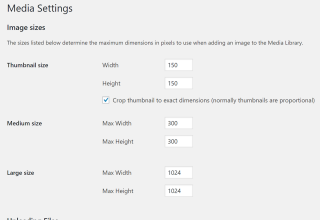 Now you could always work with a custom plugin if you need to design a slider on your own terms. 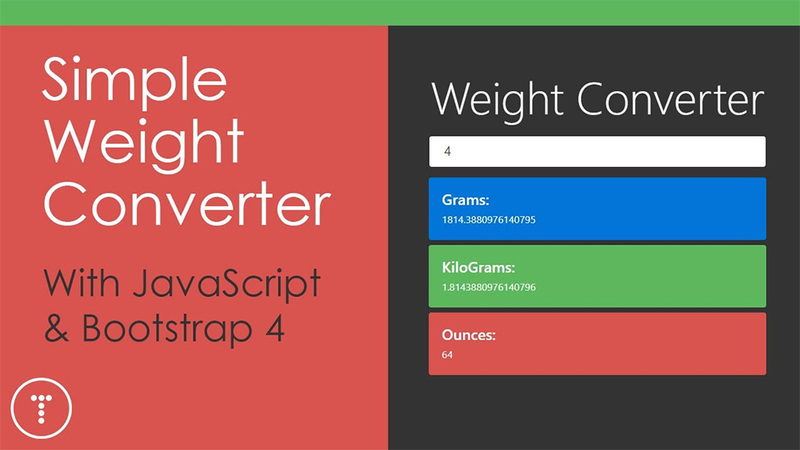 But Bootstrap does have its own component that I think works incredibly well. A must-watch tutorial in my book, especially if you’re working on an ecommerce project. Funky little webapps are the cornerstone of practice projects for new developers. If you’re completely new to web dev then you may not even know any projects to start on. But this converter app tutorial has you covered with some really great techniques for newbies and more intermediate coders alike. This only runs for about 15 minutes and most of the tutorial works in a split screen where the code is on one side and the output is on the other. Newbie coders will enjoy the simplicity here and certainly appreciate the end result. More experienced coders may like the idea and push it even further to convert a handful of other metrics. 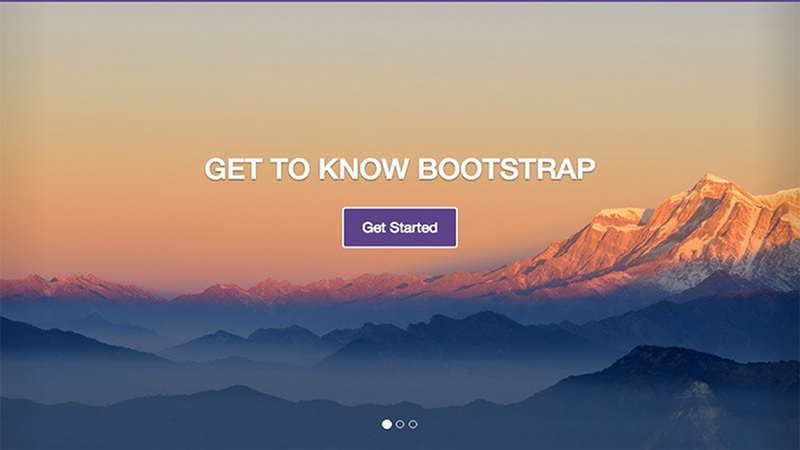 Simply an excellent mini project to get your feet wet into the Bootstrap ecosystem. 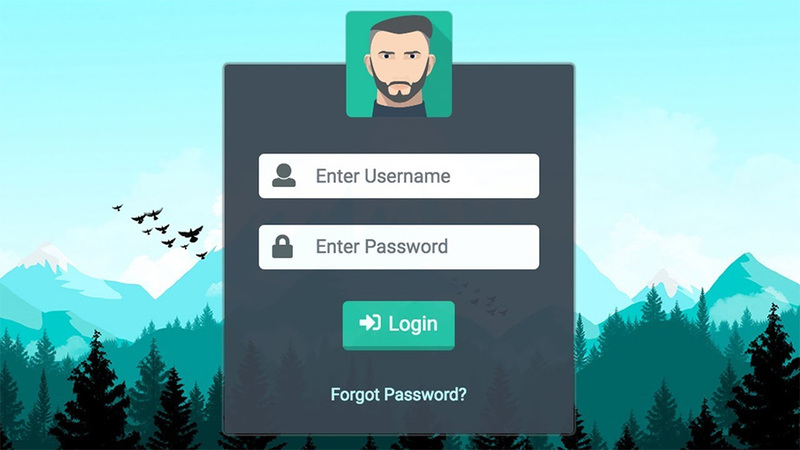 Anyone who leans more towards UI/UX design will be interested in this login form tutorial based entirely on Bootstrap 4. If you focus mostly on aesthetics and coding a working frontend then you’ll enjoy the intricacies of this project. 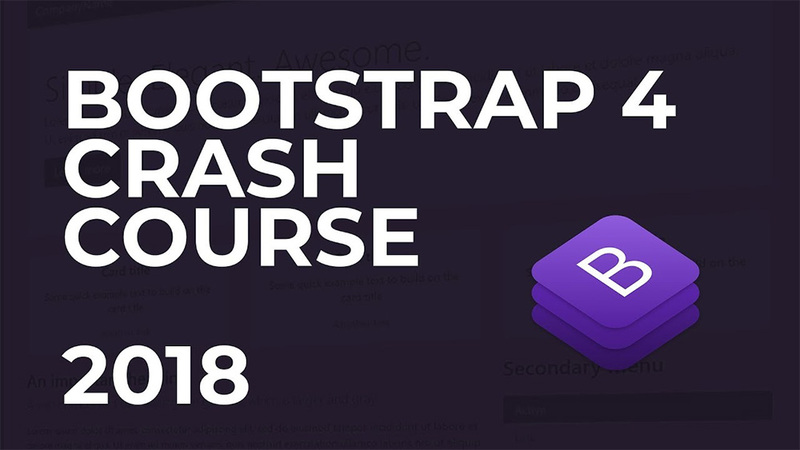 The instructor covers a lot of great tips from the Bootstrap CSS file and teaches you how to create a fully responsive form. 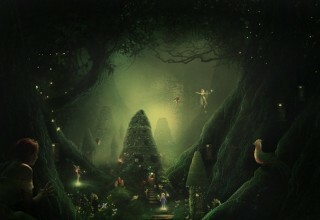 The graphics and background image are not included, but you can find most of this kinda stuff online for free. Creative commons image resources are practically everywhere. By the end you’ll feel a lot more comfortable working on frontend projects and sculpting brilliant UI designs in Bootstrap. Very few developers pick up a fullstack path. But it seems like nowadays this is slowly becoming the norm with tools like React, Angular, and Node.js. One awesome stack you might try is PHP/Laravel on the backend, Bootstrap on the frontend. This is a very basic stack however it’s also powerful enough to build some crazy webapps. If you’d like an intro guide on this subject then have a look at this video. 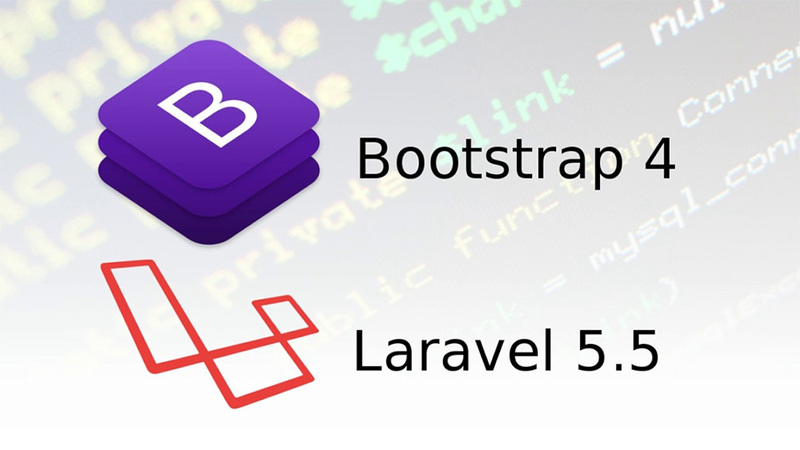 It covers the newest version of Bootstrap(4.0) along with the newest version of Laravel(5.5) in one comprehensive tutorial. Please note: you really need to know your PHP before trying to learn Laravel. It’ll be a real toughie to master if you don’t know your basics. If you do wanna get into Laravel but have no PHP background then definitely consider our list of PHP courses. These are the best learning resources for a complete PHP novice to learn and push into the more advanced coding techniques. 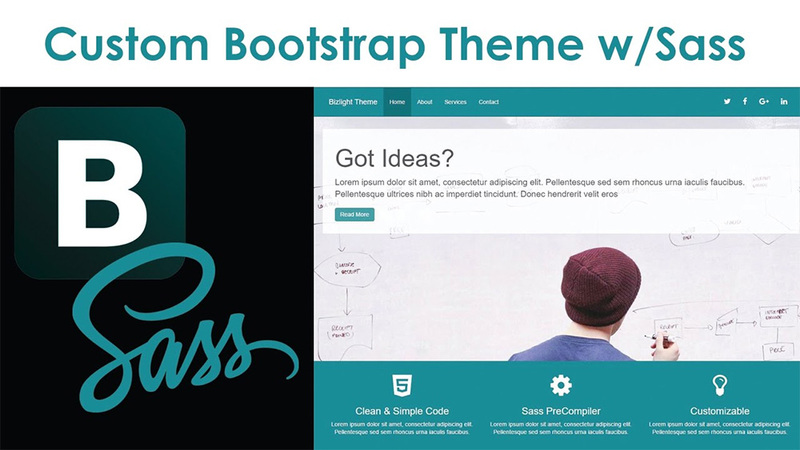 Last but certainly not least we have quite a doozy with this detailed guide on creating your own Bootstrap theme. Yes, you read that right. You can design a full Bootstrap theme from scratch and re-use that on pretty much any BS4 project. If you check out this handy video you’ll learn how to build an entire theme from scratch relying on HTML and Sass. Anyone who doesn’t already know Sass might want to pick that up alongside Bootstrap. The Sass/SCSS preprocessor is basically a required tool for modern developers and it’s gonna save you loads of time while designing custom BS4 themes. I highly recommend this video just for it’s detail and length. Over the course of an hour you can go from a blank boring page to a spruced-up design with all the fixins. Plus you can carry these techniques into any other layouts you design. With all of these tutorials at your disposal you should have no problem picking up Bootstrap 4 and running with it. Just be sure to go at a steady pace and pause when you’re confused. Bootstrap is really a framework to learn once you’re already comfortable with the basics of HTML & CSS. So be sure you know your frontend languages and feel comfortable coding before you do much with BS4. Superb post! 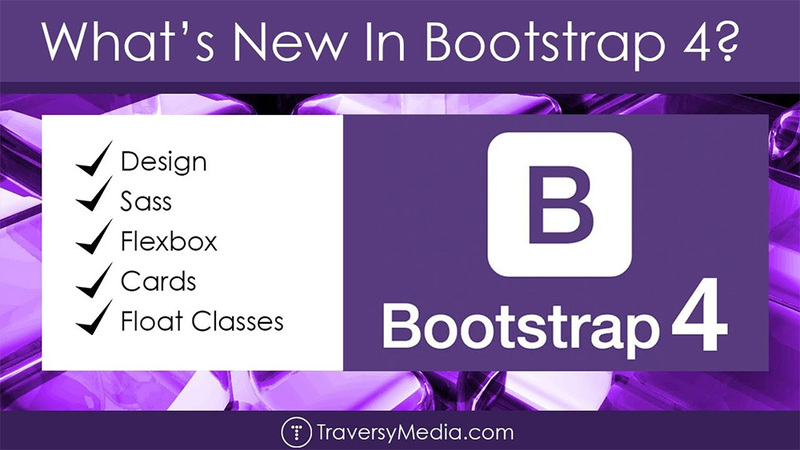 This is very useful post to know about the stunning features of Bootstrap 4 and what’s new in it. Thanks much for helping us to understand about the newest BS4 version as it comes with a lot of new features and capabilities to make building responsive designs even easier than before.